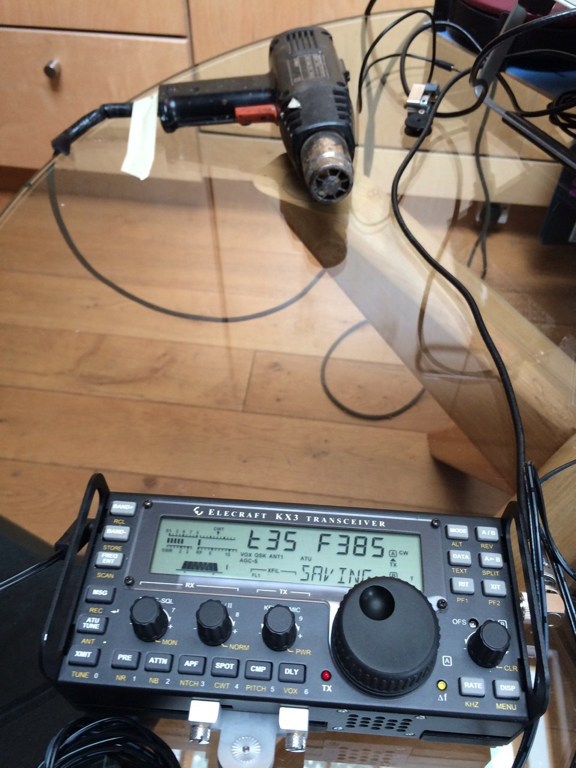 I feel like a proper radio ham now I have used some “test equipment”. Oh yes. A signal generator no less. Wow, I hear you say………possibly. The KX3 is a SDR radio and comes in kit form so there are various combinations of boards that you can put in it. All of these affect the way that the oscillator performs in relation to the temperature of the radio (watch out we might be getting out of our depth here). You can calibrate an offset to adjust what the oscillator is producing against the temperature. 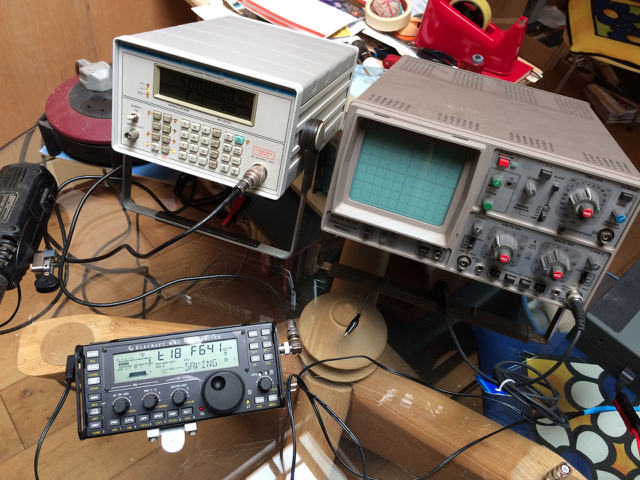 Because this is a long winded process it comes with a standard calibration which is ok for HF but on 2M SSB which comes via a transponder board and narrower modes such as RTTY and PSK you can find the radio drifting off. A couple of people have mentioned this when I have operated on 2M SSB for any length of time on it. 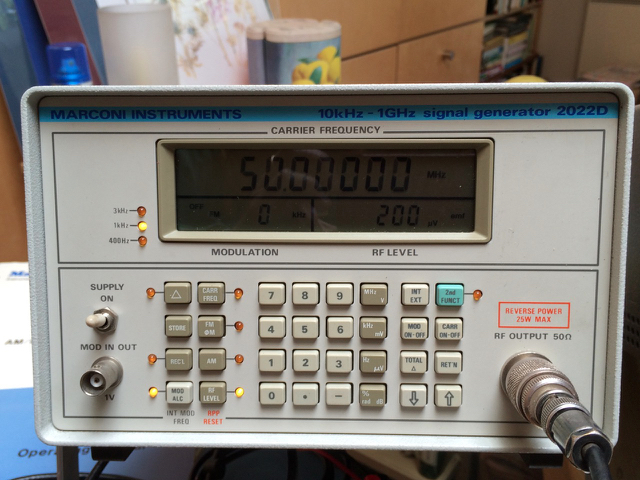 There is a calibration process built into the SDR ….how brilliant is that. So I borrowed the Sig Gen (got the lingo already) from Jeremy, many thanks. Basically what you do is inject a 50mhz CW carrier into the radio and set is calibrating as you change the temperature. You cool it in the fridge and then get it out and warm it up with a heat gun. Here you can see the temp pf the oscillator at 35c and the actual frequency of it. 385 thnigamijigs. When it is all calibrated you can watch , and hear, the frequency stabilise as the temp drops. The proof of the pudding is yet to bake as we go and plug it in and search very hard for someone to speak to on 2M to test it out. I will let you know. UPDATE: yes it works. just had a nice QSO with wales and didn’t drift off a bit. Just wait till I work out what to do with the oscilloscope!